Irinotecan is a topoisomerase 1 inhibitor used in the treatment of metastatic colorectal cancer. The product is coming in 4 different presentations, i.e. 2 ml, 5 ml, 15 ml, or 25 ml vials. 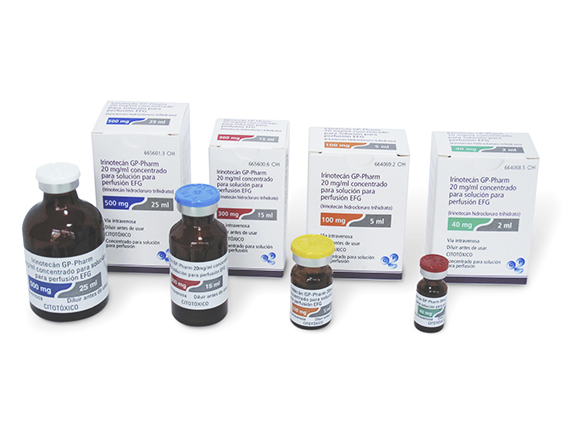 Each vial contains a 20 mg/ml Irinotecan solution.